It is hard to believe that it has been a little over 10 years since the release of the first Halo. In that time the series has accomplished a lot: successfully launched the Xbox, sold tens of millions of games, and crossed into other forms of entertainment including comics, novels, and movies. Halo is the game that Microsoft built their Xbox empire on, so it’s no surprise that the game is getting the remake treatment for its 10 year anniversary. In the past there was generally two different ways to do these re-releases. You could take the approach of games like Resident Evil 4 HD and Beyond Good and Evil HD and just port the game to modern consoles, upscale the textures a bit, and call it day. Or you could go the full remake route of games like Metal Gear Solid Twin Snakes and completely remake the game on a new engine. This is the more impressive route to take, but you lose the nostalgia factor when you do it. 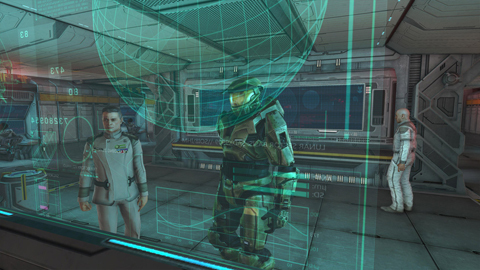 Halo Anniversary takes a different approach, and ends up somewhere between the two. 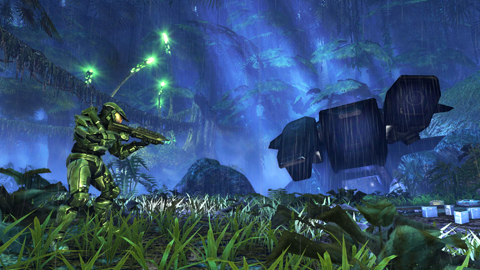 At its core, Halo Anniversary is the exact same game everyone played a decade ago. The game engine is still around and running the show. This means that all of the gameplay mechanics are exactly the same as they have always been. All of the weapons and vehicles handle the same, and all of the AI remains unchanged. For better or worse, the Covenant, Marines, and Flood all behave as they used to. Co-op is still around as well, and this time you can play over Xbox Live. So the Halo “combat puzzle” is still intact and as fun as it ever was. Each encounter provides a great challenge, with the game’s iconic selection of weapons providing the tools to solve them. Despite the game’s age, it still provides some of the most fun and challenging firefights in the series, especially on the higher difficulty settings. Halo: Combat Evolved on Legendary difficulty is certainly the most challenging of all in the series, and without ever feeling unfair. Those that played the game in the past will have a great nostalgia trip, while those new to the game will find what still is a surprisingly modern gameplay experience. On the outside though, we have a brand new graphics engine and art assets. Everything visual in the game, from the smallest rock to the largest Hunter, has had a pretty impressive makeover. Since the old game engine is still running behind the scenes, it is actually possible to switch back and forward between old and new, allowing you to actually play the original game with its original graphics. It it offers a great opportunity to see how far graphics technology for games have come in the past ten years. I had a lot of fun just switching between the two in each new area to see what they changed. All of the graphical changes are just superficial though. For example, while the elites have many times the polygons and texture resolution then they used to have, they are still the same height and width. Every rock, tree, and barricade is exactly where it used to be, the same size and facing the same direction. Everything just look a whole lot nicer. This means that the levels themselves also remained functionally untouched. The Silent Cartographer is as great as everyone remembers it, while The Library is every bit as annoying as it ever was. The updated visuals do help a bit, as there is more variety in the previously monotonous hallways of Covenant ships, and some arrows added to the floors in the Library help you stay oriented. Overall though, the levels in Halo were well designed and had a good amount on non-linearity to them that modern gamers have come to expect. All of that graphical fidelity has come at a price: frame rate. The game runs at a shaky thirty frames per second most of the time and can dip pretty low when things get frantic. Occasionally it was bad enough I actually switched back to the old visuals which runs smooth as butter. I am not sure if it is a result of running the two graphics engines or not, but it is a bit disappointing that they couldn’t have locked it down. Halo deserves better. In addition to the graphics update, the sound effects and music also got some attention. They really should have left well enough alone though. The new gun sounds are hit and miss, with some sounding truly awful. The same can also be said for the new music. As someone who played a lot of the original game, it was really distracting at first to not hear the same music and weapon effects that I remembered. It really messes with your nostalgia until you get used to the new sounds. Thankfully you can swap out the new music score for the old one. It’s too bad you can’t do the same for the weapon sound effects. The only real major disappointment in the package is the lack of Halo: Combat Evolved’s multiplayer. Instead of recreating it, we get an add-on pack for Halo Reach that consists of six maps (and one new firefight map). They have given a number of reasons for excluding the original’s multiplayer, but it really feels like it was cut due to time and budget constraints. 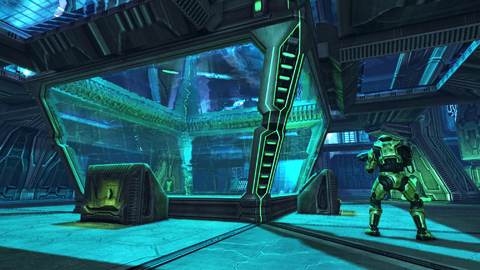 The map pack consists of both Halo and Halo 2 classics such as Beaver Creek and Damnation. Since this is Reach multiplayer, the maps have been tweaked a bit to accommodate the various gameplay changes over the years such as jetpacks. 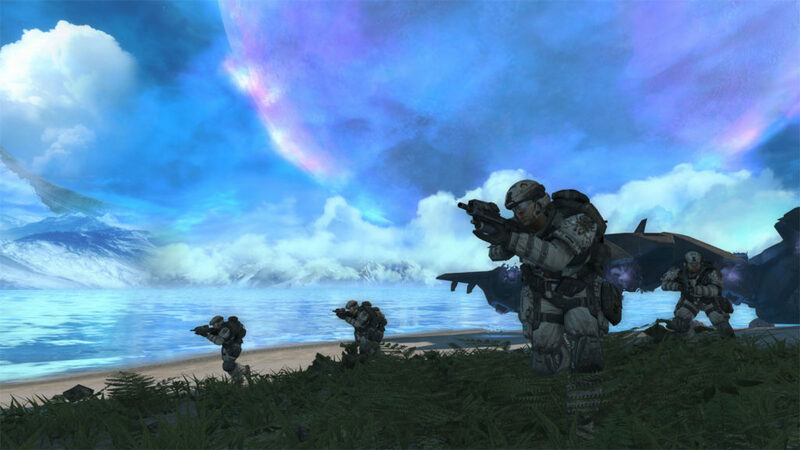 If you already had your fill of Halo Reach online, there is not much here to bring you back. Still, Halo Anniversary is an enjoyable single-player focused remake of one of the most iconic games of the past decade. It really shows just how right Bungie got things the first time around. If you have fond memories of the original or never got a chance to play it the first time around, Anniversary is absolutely worth picking up. It really shows just how right Bungie got things the first time around.